Today we are presenting to you a very fun app that we recently found in the Photo & Video category on the App Store. 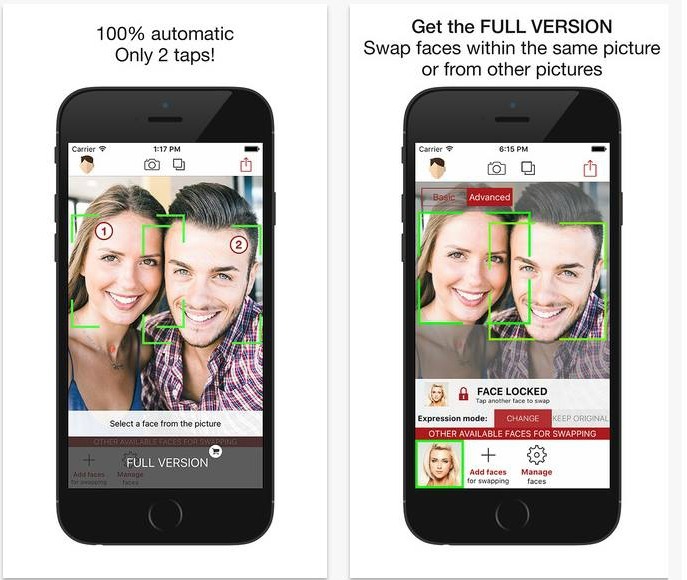 The name of the app that we loved so much is SwapMe, developed by FacioMetrics and available for all iOS users. This face swapping app is designed for both iPhone and iPad and it is very user friendly. When you download the SwapMe app you will quickly learn how to use its features. The developers integrated new technology that uses facial feature detection, gaze tracking, head pose estimation and engagement and attention estimation. It allows you to have fun while swapping the faces within the images you upload. Edit any image you have in your device or take a selfie with your loved ones and start swapping the faces immediately. Here are few tips for better results: make your face more visible by putting away your glasses or your hair that may affect the final result and use frontal faces when possible. The app is free for download, but also has an in-app purchase that lets you use all the integrated features. 100% automatic and photorealistic, the SwapMe app can be downloaded from the App Store. Share the fun, share it with your friends and family!